Official support for the theme can be found at the Performancing Community Forums. See a live preview of TDAge here. 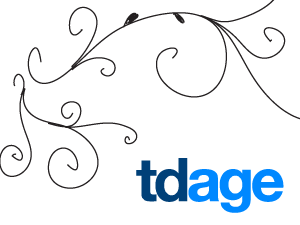 Update: TDAge has been updated for compatibility with WordPress 2.7 and up. Download the latest version here. 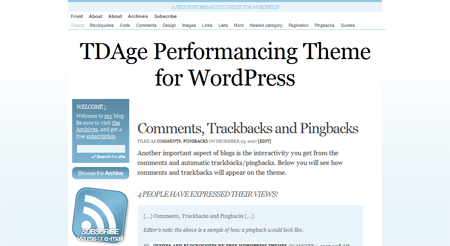 Download TDAge Theme for WordPress.